There is nothing like being reminded that you are, in fact, a cyborg. The smartphones and other devices we carry with us everyday are basically extensions of our brains, or so believes Ben Hammersley, UK Wired Editor-At-Large and Ambassador to the UK Government’s Tech City. Closing the first day of this year’s Web Directions South conference, Hammersley explained that the small devices we carry with us everyday, and which we are panicked to be without, are in fact like mental external hard-drives which not only recall information, but point us in the direction of things we didn’t even know, and have the omniscient power to do things like order a taxi with one click or find out when the next bus is coming. Hammersley’s message punctuated two days of presentations and panels that both took a big picture view of where the world is going with technological innovation, kicked off by Josh Clarke’s Day 1 opening keynote Beyond Mobile, as well as offering more practical insights into the diverse design and development practices shaping today’s web world; from content strategy to responsive design, web security to community management. Most notably this year was the inclusion of a conference track specifically dedicated to startups, an acknowledgment of the rapidly growing tech entrepreneur community in Sydney and around the country. 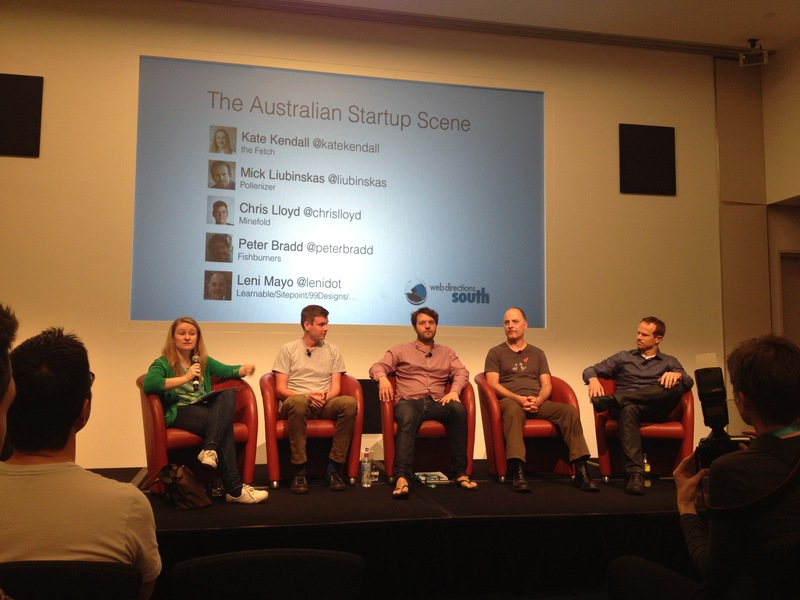 The Startup track covered the spectrum from developing an idea to seeking funding to the experience of participating in a three-month incubator program, with a line-up of seasoned entrepreneurs, from both Australia and overseas, giving an insight into their experience and offering valuable advice to early-stage startups. Highlights include a panel on business models, which explored the various revenue models that are being used to monetise great startup ideas, Derek Powazek’s candid and practical account of his personal startup journey, and the Australian Startup Scene panel, moderated by The Fetch founder Kate Kendall, and featuring some of the country’s leading startup entrepreneurs. From the energy in the room at the Startup track sessions, it’s clear we are at a very interesting point in the maturity of the Australian startup scene. With some impressive successes behind us, and a growing number of people launching their own tech businesses, the opportunities for awareness, scale and funding are on the rise. However, a sentiment still exists that entrepreneurs need to spend time in an ecosystem like Silicon Valley or San Francisco’s Bay Area to be truly successful. While that may be beneficial for certain startups, it is clear that there is a growing community here dedicated to supporting the success of home-grown startups, which is crucial to the growth of our own entrepreneurial ecosystem. 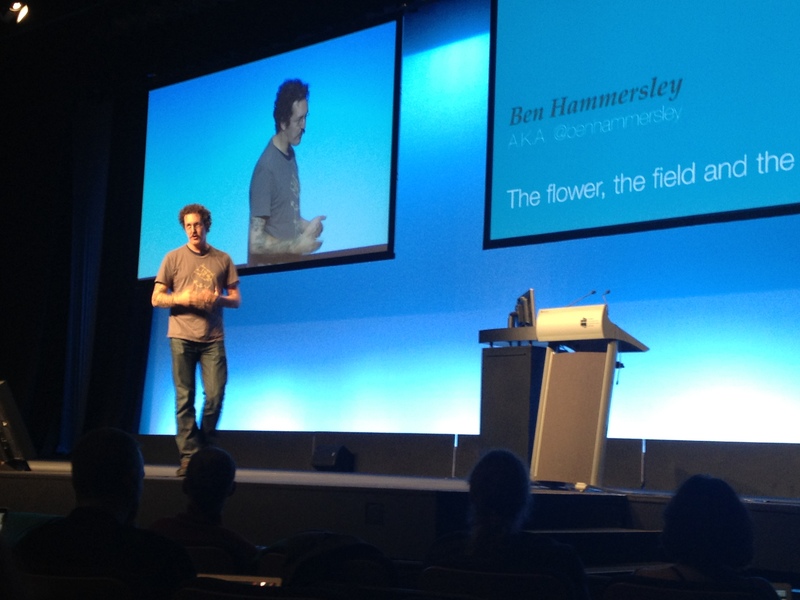 It will be great to see just how much we’ve grown when Web Directions South 2013 rolls around. About our ambassador // Lauren is Community Director for CollaborativeConsumption.com, and has played an instrumental role in building the global collaborative consumption movement over the last two years. News: Uber comes to Sydney (and Australia)!